Alzheimer’s Disease, Stroke, Seizures, Tumors, Aneurism, and a lot more are diseases linked to brain malfunction. Most of these disorders are directly associated with ageing. Because of this, the Indo caregiver or Filipino caregiver must pay constant attention to the elderly’s brain health through their diet. Brain foods are rich in antioxidants, vitamins, and good fats. Eden Grace Maids Agency recommend this list of food that are good for the patient’s memory and brain health! Seafoods never goes out of the list of brain foods to take note. What’s in the fish that makes it good for the brain? The answer is fat. Our control center of the body is made up of 60% fats, so it’s no surprise that we’ll need Omega-3 to keep a healthier brain. The brain needs Omega-3s to replenish, repair, and build up nerve cells and the brain itself. What does the caregiver need to add on the grocery list? 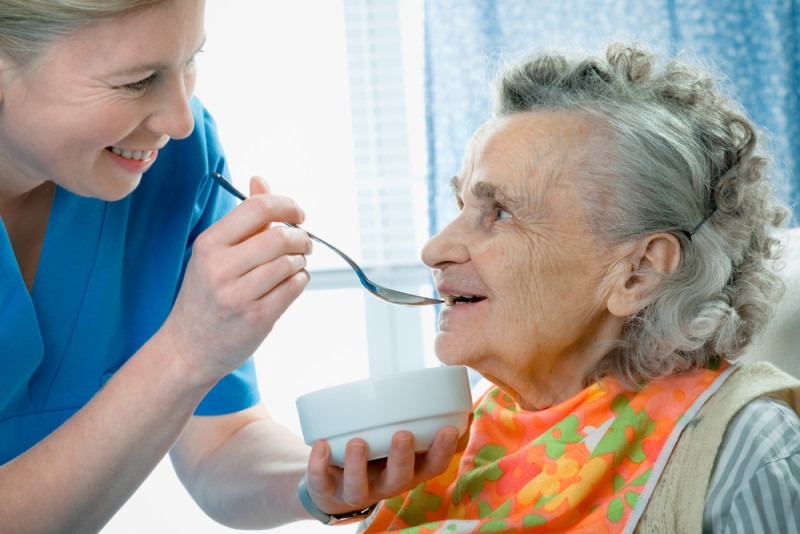 How can the caregiver include it to the elderly’s diet? – Tuna spreads are now widely available. For the elderly who likes bread in the morning, try serving a tasty tuna sandwich! – Include more fish meat and lessen pork fat that often clogs the arteries. This creamy green fruit is always misunderstood because of its “high fat content”. However, this fruit is only composed of monosaturated fats that keep the skin glowing and prevent blood clots in the brain (perfect for the patients who are prone to stroke)! – Combining avocado and tuna in the salad would be a great idea. Just add some chopped celery, red onion, red apple, and a pinch of salt and pepper. – Avocado is also perfect for desserts! Try Avocado Ice cream with the help of the ice cream maker. Turns out coffee isn’t just good to energize us in the morning but the elderly’s brain will also benefit from the coffee’s antioxidants. Long term drinking of coffee is also linked to less risk of Parkinson’s and Alzheimer’s disease. The Indo caregiver or Filipino caregiver can suggest coffee for the patient’s next breakfast. – Coffee and other flavors we can combine with it like caramel, vanilla, milk, or chocolate. – If the traditional hot cup of coffee is too boring for the elderly, try serving coffee shakes, frappes, and smoothies. Iced coffee combined with milk, chocolates, or caramel is also in now! Recent study shows that berries can reduce effects of age-related conditions such as Alzheimer’s disease and Dementia. These little sweet round fruits can also prevent cognitive decline caused by ageing. They get rid of harmful toxics that cause age-related memory loss. – Strawberries, blueberries, and acai berries. – Spiced Blueberry Soup is a purple soup chilled to serve as a snack, appetizer, and dessert for the elderly. Just add water, cinnamon, honey, cornstarch, and a low-fat milk to complete the recipe. – Does the elderly love pancakes? Caregivers can match them with Chunky Blueberry or Strawberry Sauce. We hope your loved one would enjoy the recipes! Are we in need of someone who can take good care of our loved ones? Consider the reliable caregiving and maid services from Eden Grace Maids Agency. The agency has employees who undergo proper training and background checking to fit our manpower needs.